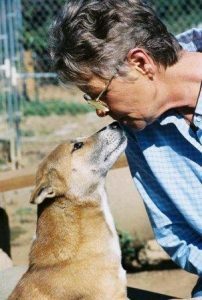 Janice has a Bachelor degree in Biology, a Masters in environmental science, a certification in applied animal behavior (Board of Professional Certification of the Animal Behavior Society), and 45 years experience as a dog trainer. She is a member of the International Union for the Conservation of Nature Canid Specialist Group and has authored/co-authored journal papers on the New Guinea dingo, dog origin, dog cognition, and the uses of dogs. Her special interest subjects are the origin of the dog, dingoes and aboriginal village dogs.